This beautiful Horizontal Open Megillah Case is for housing and protecting larger handwritten parchment scrolls. Like all Megillat Esther Scroll Cases, it is a custom item at Etz-Ron, made to order for your parchment (“klaf”). 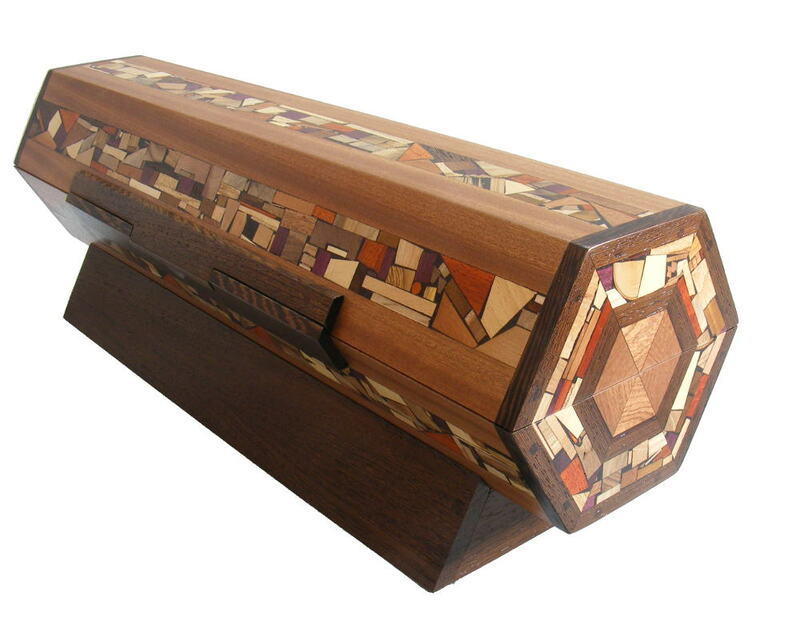 The Horizontal Open Megillah Case is decorated with wood mosaics, using over 30 species of wood from around the world. 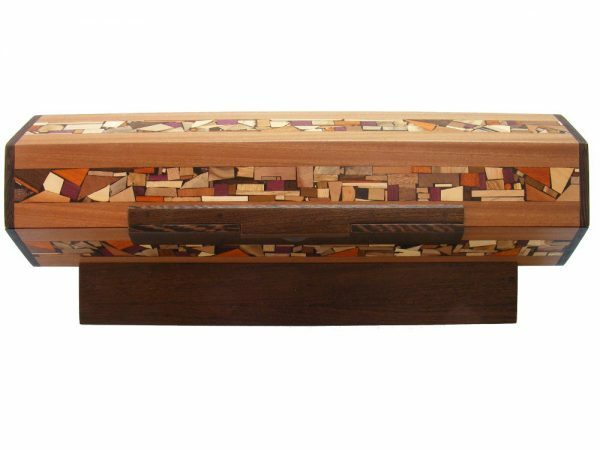 No stains or dyes have been used in this unique piece, the colors you see are the natural colors from nature. 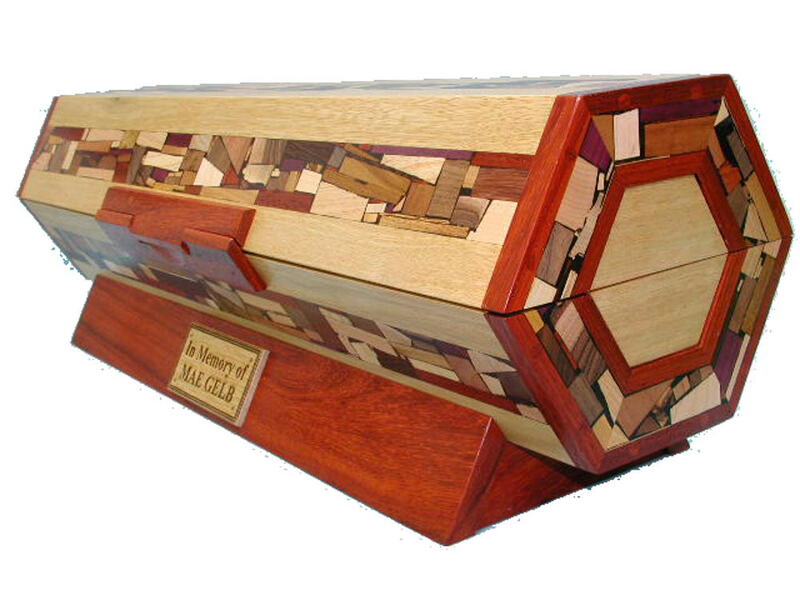 It has five panels of hand inlaid mosaics as well as mosaics on the end caps. 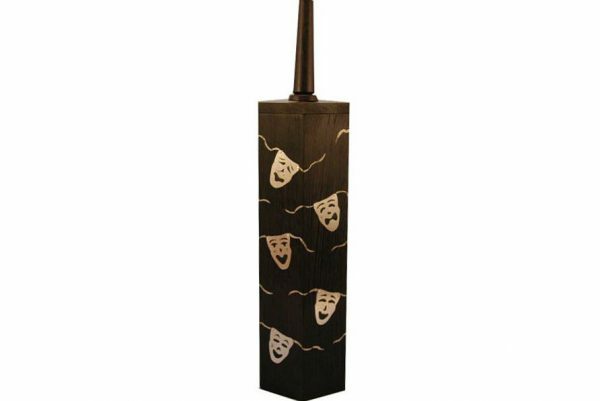 It is fitted with an integral stand and handle for opening and closing. For a small additional fee , a custom dedication plaque with text that is laser etched can be added. You can order this beautiful custom horizontal open megillah case for yourself or your synagogue. 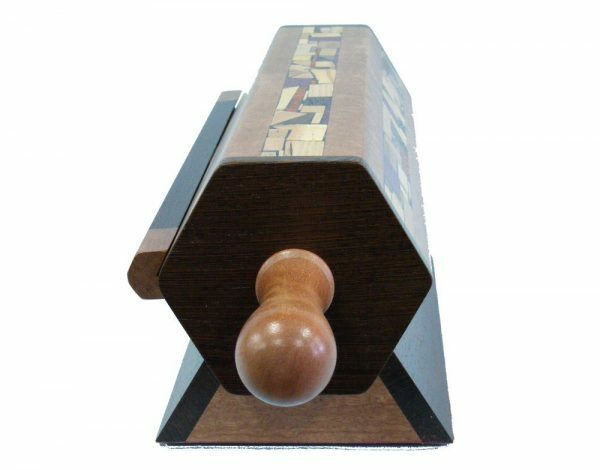 Past customers have used this megillah case to house large megillah scrolls, and, at the same time, honoring a member with a custom dedication affixed to the box. 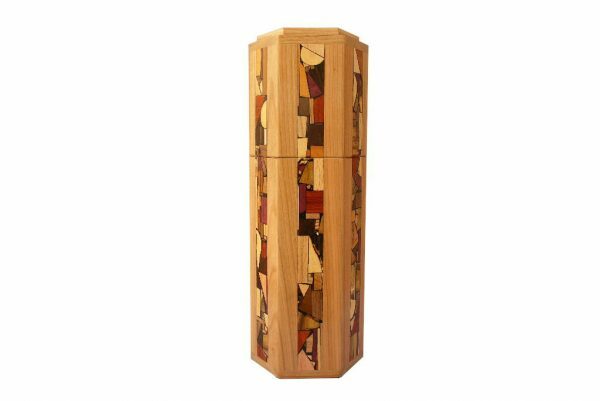 Because this is a custom item, made just for you, you can choose the base woods of this case to match the decor of the room it will be in. You can add handles on the ends , or choose to have mosaic decoration. I provide sinew and instructions on how to sew the parchment into the case, when applicable.. You can add an inscription. Prices start at $590. Lead time is 4-6 weeks, take a look at the testimonial page to see satisfied customers.